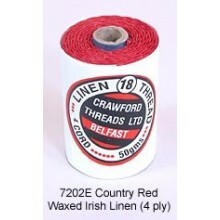 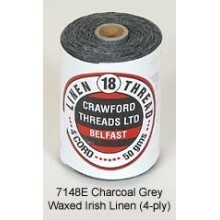 Waxed Linen 4-Ply There are 62 products. 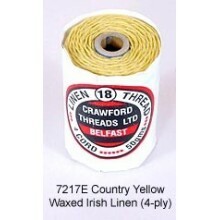 You'll enjoy working with this beautiful Irish Linen and incorporating it into your baskets. 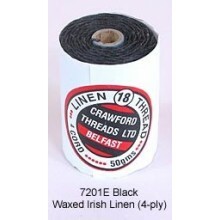 4-ply thread--approximately 90-100 yards per spool. 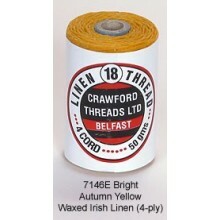 Order enough thread for your entire project as dye-lot color may vary. 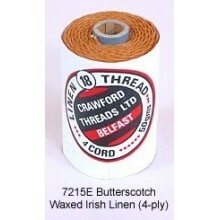 Diameter is approximately .75mm.